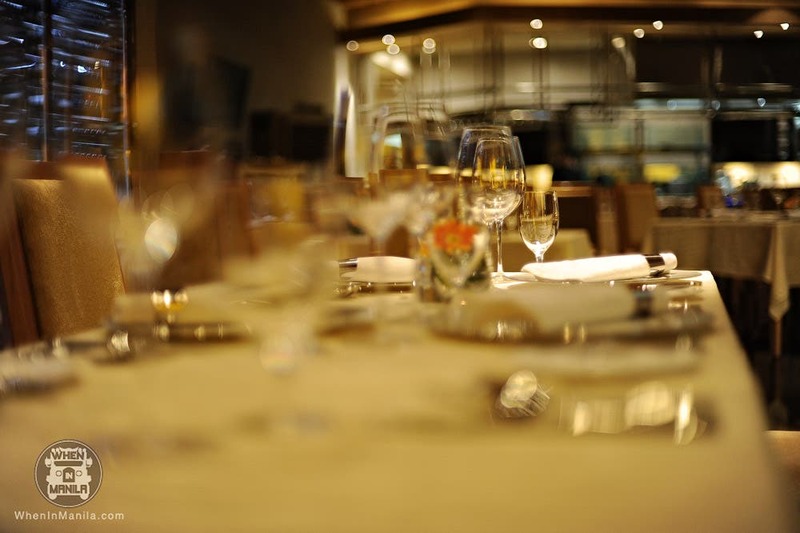 When In Manila, the world has a finer things to offer with Impressions : affordable fine dining at Maxims – the only 6-star hotel in Manila located at the most happening place right now : Resorts World. On the 3rd floor of Maxims tower, the appealing design & warm colors make you want to take a peek and see what’s so inviting about the place. 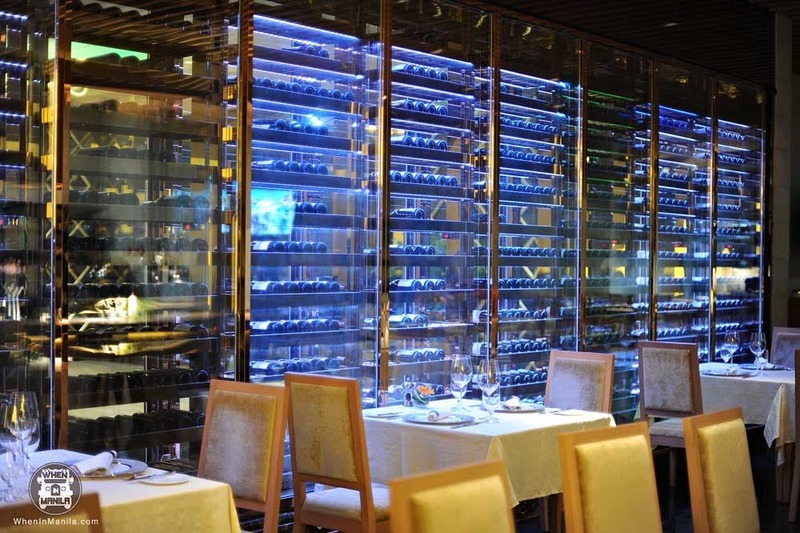 Is it the wine bottles that line up the wall that hints contemporary French, and suggest you could take a sip with a meal that could be a little bit out of the ordinary? Or maybe it’s the way the tables are set. How everything sparkles in the ambient light with much attention to detail, pulling you in to sit down and savor on an excitement of what’s to come. A definite key factor to every amazing restaurant is the artist behind the dishes in the name of Chef Cyrille Soenen. A warm & friendly French Chef who has taken the kitchens of Michelin, Hotel Ritz in Paris, a number of 5-star hotels including Seven Corners (a buffet I super love) at Crowne Plaza & owns Ciçou at Hotel Celeste. In collaboration with great talent is a great orchestration of a vision by Hubertus Cramer the Vice-President of Kitchen Management. Also a chef in his own right, who left the kitchen, never came back, but has rised to create a work of business and art in Maxims Hotel and Impressions. I love it when I meet people from different industries – it takes me into their world and for someone as passionate about his work as Hubertus Cramer, it provides a glimpse of what it is as a hotelier living on a commitment to provide service that only comes from an earned 6-star rating. And with a team-up like this, you could expect only world-class service. Looking around the place, you would notice that food is prepared for you to see in their live kitchen. Soon live lobsters and different seafood will also be on display for you to choose and it will be cooked right away. Pretty much like a Chinese restaurant but this time made into French fusion cuisine. Could you imagine yourself being served this way in a place like this? We started off with Squash & Crab Salad with Assorted Nuts, Romaine Salad Chiffonade. The dressing was specially made by Chef Cyrille Soenen using oil from crab . The tastiness of the crab mixed with greens was a refreshing way to begin. Next was a Delicate Cream of Mussels Soup, Raviolis of Mashed Water Crest and Oyster. I loved how creamy it was – a delectable must-try! 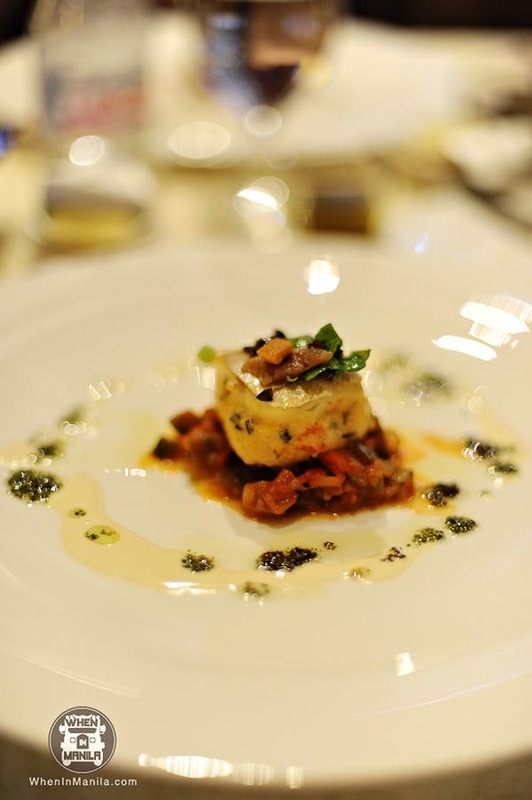 For the Main Entrée we had Red Mullet Fillet, stuffed with Prawns ala Nicoise, Ratatouille. A delightful mix of flavors you just let roll in your mouth and enjoy. My other favorite would be Roast duck & liver (Foie Gras) on mashed broccoli. If you’ve never tasted duck liver – this is one great dish to start it off. It has the right amount of softness & an enchanting fatty taste that makes you savor each & every bite. My friend who was with me said she almost cried when she tasted it. Haha! Find out for yourselves guys! And for Dessert we had Nouga : Glace and Strawberry Coulis. Not too sweet nor too bland. A perfect way to cap the course off. 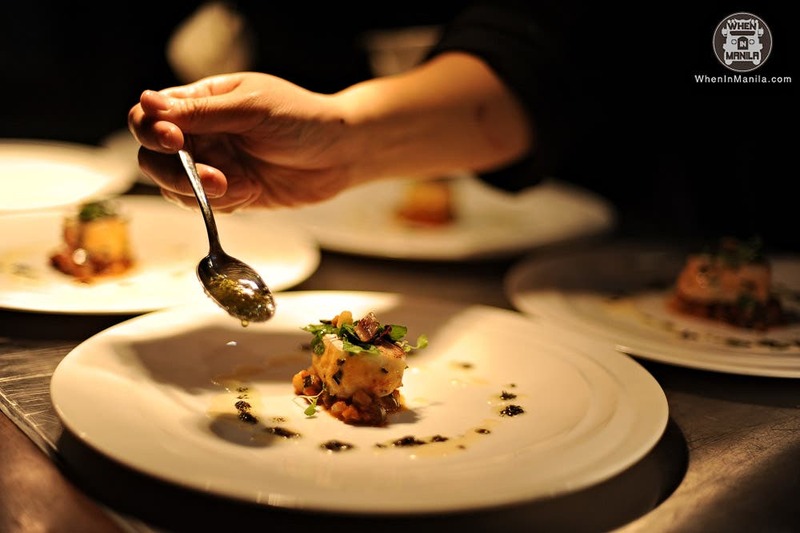 And the best part is, you can experience a world-class fine-dining course-meal at Impressions starting only at P600! Perfect for that special date with someone, for celebrating that win at the Casino or for just hanging out in the good company of friends & family in a relaxed & soothing environment. 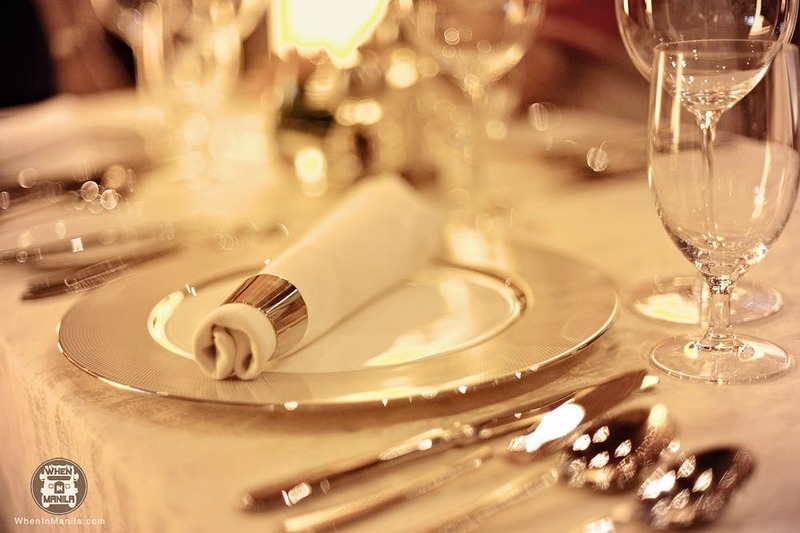 Fine dining is a dance of the senses, it’s the visual appeal of the colors, presentation, the aroma, the taste, the ambiance of the place, sounds of cooking , clinking of the glasses, voices of the special people you dine with & warm smiles of everyone around that just get you. 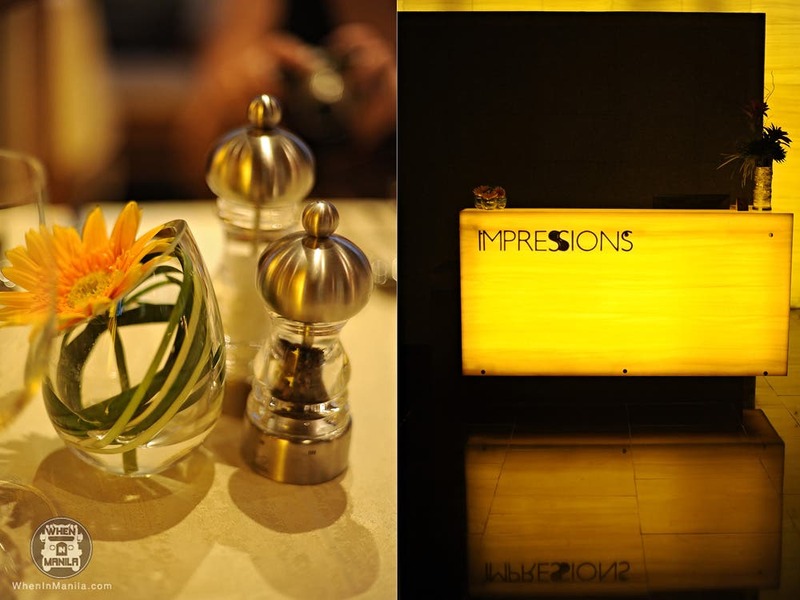 When in Manila, if you want to make a good one, dine at Impressions Restaurant at the Maxims Tower in Resorts World Manila. Help This Netizen Find Her Missing Cat!